The Young Lions’ Under-18’s side will face a much sterner task when they travel to play Blackpool in the FA Youth Cup First Round Proper on Monday 29th October. Blackpool were semi-finalists in the competition last season. 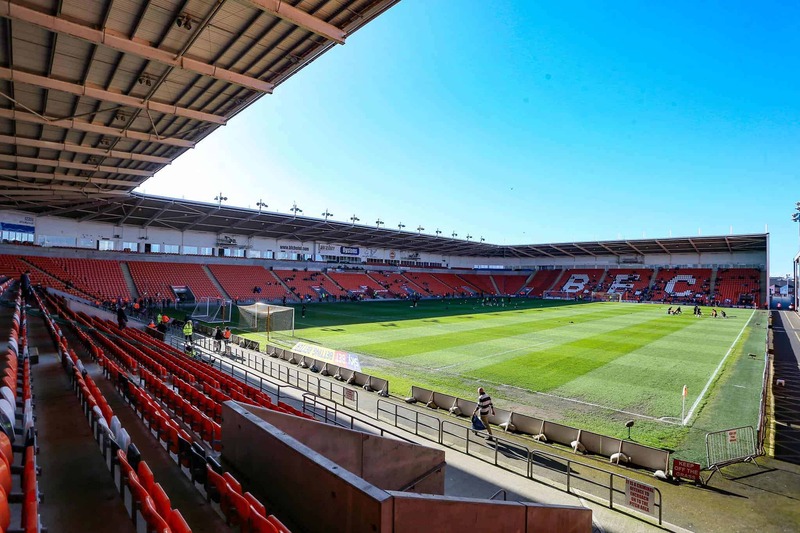 The game will be played at Bloomfield Road, where the legendary Sir Stanley Matthews plied his trade as did the embryonic 1966 World Cup winner Alan Ball. The draw sees clubs from the EFL now joining the competition to be paired with the Non-League clubs who have advanced through the qualifying rounds. In Guiseley’s case they have played three qualifying rounds beating Rossington Main 11-0 in the First Qualifying Round, Harrogate Town 5-1 in the second and Ossett United 13-0 in the latest Youth Cup clash at Nethermoor last week. Guiseley will be looking to striker Jake Young to continue his fine form having scored ten goals in their three qualifying games with six against Ossett but one player who will miss out is winger Tabish Hussain who netted three against Rossington and also scored against Harrogate. He is missing for up to two months with a stress fracture. The game will kick-off at 7.45pm and admission will be £3 for adults and £1 for everybody else.